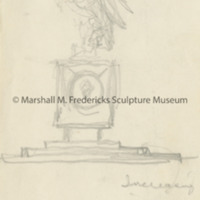 Sketch of Pegasus for relief. 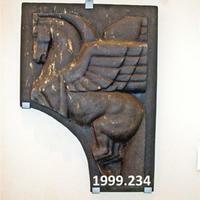 Plaster relief of a Pegasus figure in profile with airplane propellers under his belly. 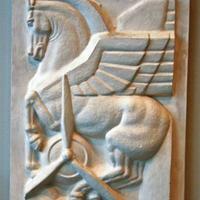 It appears as if Pegasus is riding upon the propeller's nose cone of an airplane. Clouds appear under the propellers. 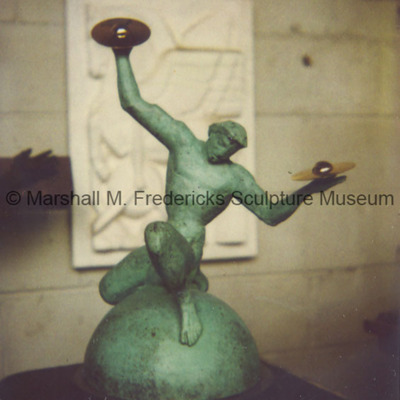 Pegasus from the Pegasus with Propeller. 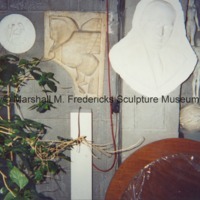 The propeller section has been cut out and removed to leave the Pegasus with most of its legs missing. 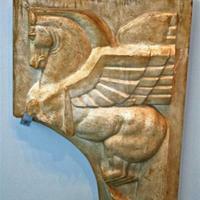 There is still part of the upper-most propeller on the Pegasus.